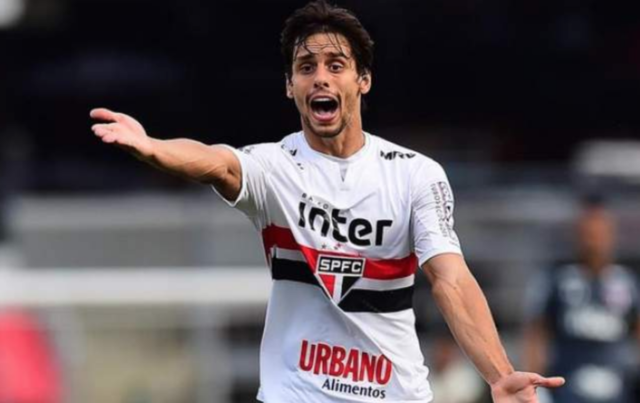 Barcelona look to be closing in on the signing of 25-year-old Sao Paulo defender Rodrigo Caio, as the player has reportedly passed a medical with the Spanish giants ahead of a move to the club. According to Don Balon, Brazilian giants Sao Paulo have confirmed that the centre back has passed a medical with the Blaugrana, and that his signing looks to set the club back around €18M. 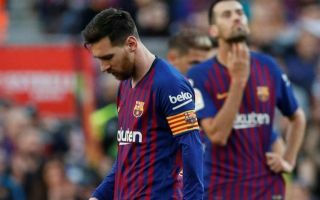 The report also states that there is just the signing of the player’s contract and official conformation from the two clubs left before Caio can officially become a Barca player, something that a number of the club’s stars don’t seem too keen on. Don Balon’s report also notes that Lionel Messi, along with players like Luis Suarez and Gerard Pique, aren’t keen on the signing at all, as they believe Caio, who’s 25 and never played outside of Brazil, won’t have much to offer. It’s clear to see that Barca need reinforcements at the back given the recent injuries that both Samuel Umtiti and Thomas Vermaelen have sustained, however given the fact that the club have just signed Jeison Murillo from Valencia as per BBC, this signing does seem a little unneeded. The club already have Clement Lenglet and Pique to play at the back, and one would think that one extra centre back is all they’re going to need in order to be covered in that area of the pitch until Umtiti and Vermaelen recover. This, combined with the fact that Caio looks like he’s going to set the club back €18M, makes it seem like Barca have panicked in their attempts to bolster their options at centre back.